Nike very prudently combined social media with an impressive art installation to create a huge social buzz in Taiwan during its interactive dance event. 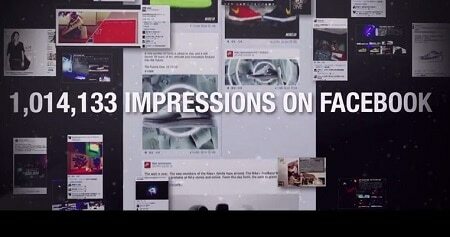 This case study talks about how the sports brand generated interest in its ‘Airforce One’ trainer through this event and generated over a million Facebook impressions. Since the year 1983, Air Force One trainer by Nike has blended with art, music, street and fashion trends, outside the basketball court, to become a culture and a language of “cool. Nike Air Force One celebrated its 30th anniversary in the year 2013. During the event went on, various street dancers were invited by Nike to wear the trainers with built-in sensors that interacted with the dancefloor. The dancers were given chance to perform live and even they were successful in drawing unique drawing with their explosive dance moves. This event, which was held in Taipei, Taiwan, was frequented with over one thousand attendees that crowded the place to full in 30 minutes. The spontaneous creations by dancers led the audience burst into cheers. The company made use of a lot of ways to promote the performance such as Facebook, Internet video posters in-store and on campus. The Air Force Ones that were created with the dancers’ drawings were first sent for display in a dedicated exhibition and then given to composers, manga-illustrators and street performers to experience. Around 800 people jam-packed into the venue with a capacity of less than 600 and the venue was crammed with people trying to get in on the performance night. Moreover, to appease the young people who couldn’t get in, special gifts had to be distributed last minute. The subsequent exhibition was equally popular, requiring crowd control to manage the crowds. Even the exhibition that followed it was equally popular, involving crowd control to manage the crowds. With 8 press reports and 64 media releases, a lot of earned media was generated by the event. The subsequent social media activity generated over one million impressions on Facebook.